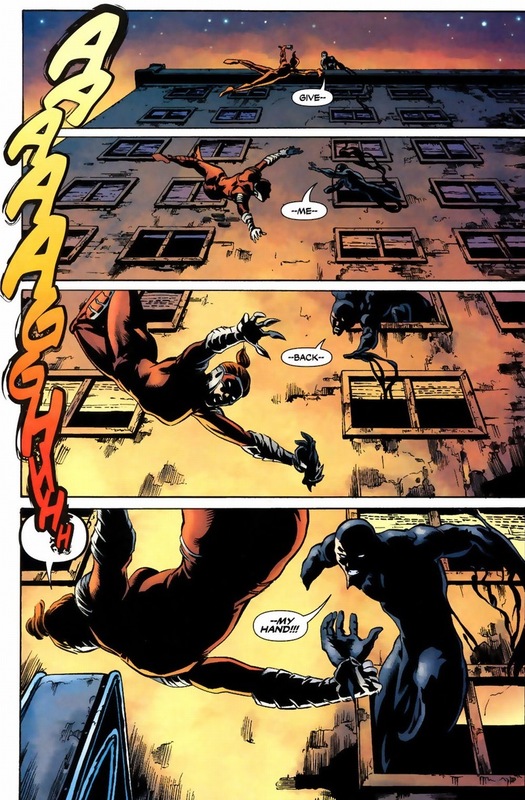 If you disregard Gotham City, most cities in the DC universe have one, maybe two superheroes each. Superman has Metropolis. Green Arrow has Star City. Flash has Keystone City. Hawkman and Hawkgirl have St. Roch. You get the idea. But you know where superheroes aren’t showing their faces? Real cities. Like Los Angeles. About time they get their own vigilante. The Manhunter superhero title goes back to the 1940s. A half dozen men donned the uniform and an entire species of Manhunter robots run amok in space. Luckily, in 2004, Kate Spencer — the best federal prosecuter in Los Angeles, of course — took a shot at the mantle. I’m so glad she did. 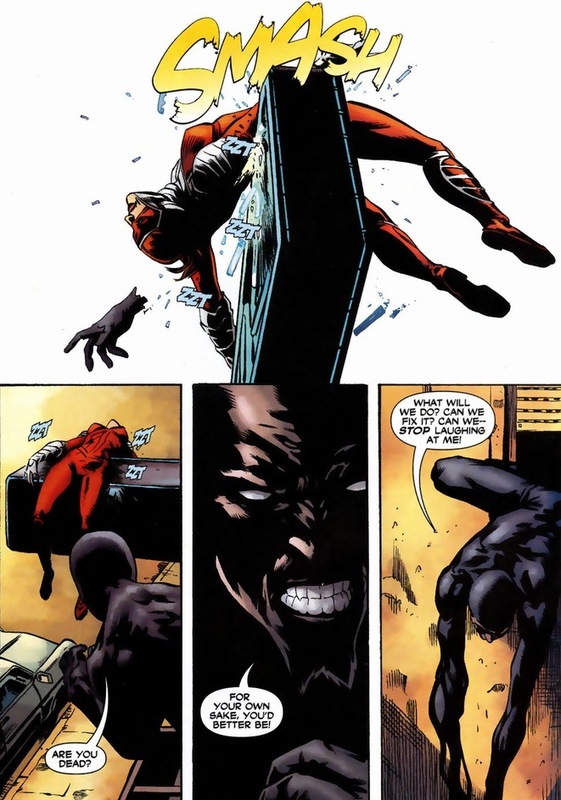 Marc Andreyko, the writer for the Manhunter series, made Spencer into someone both flawed and beloved. She’s wildly insecure, yet horribly overconfident. Spencer smokes and can barely muster being sub-par mother to her six year-old, though we so deeply root and care for her. 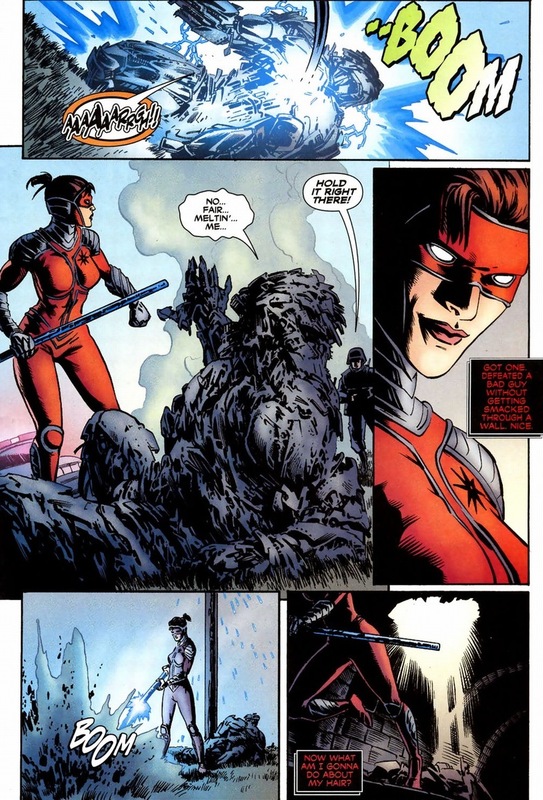 Most importantly, we as readers get to see the progression of Manhunter as a beginning superhero into the capable powerhouse she rocks today. 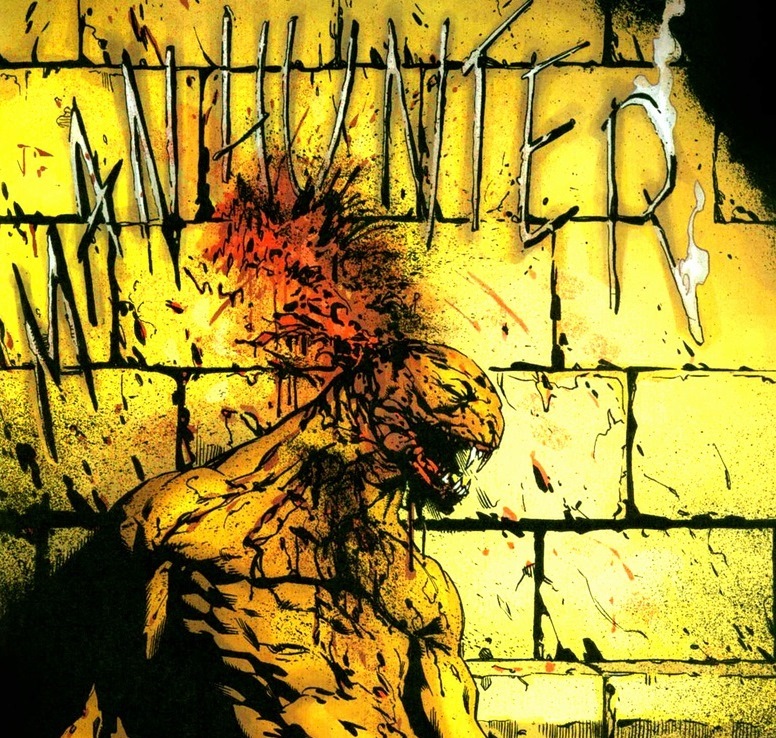 In Manhunter #1, written by Andreyko and drawn by Jesus Saiz, we see the initial superhero transformation. Lots of misplaced justice and frustration at an ineffective legal system — a classic origin story. Now let’s be fair, Spencer can handle a loss in the court room — she’s a big girl. But once a crazed snake monster, always a snake monster. 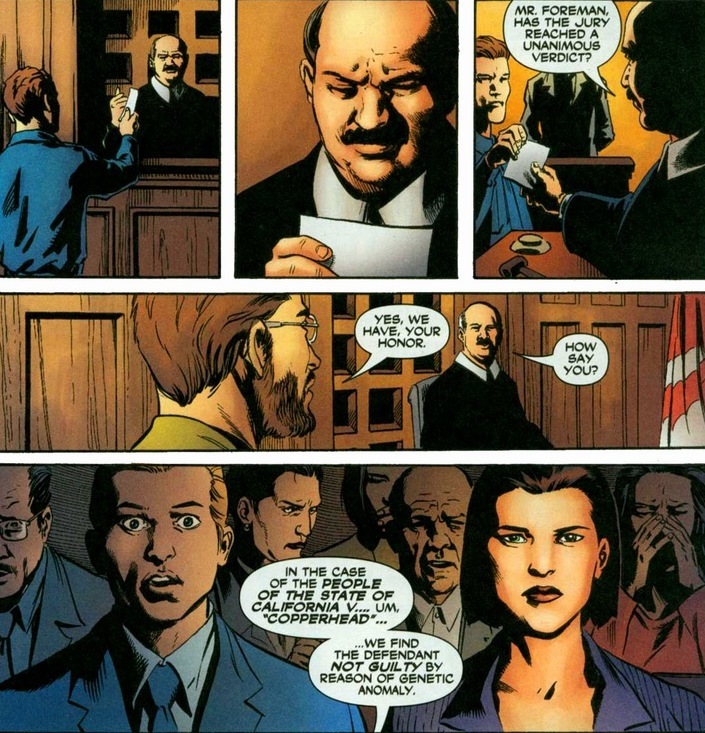 And thus a new Manhunter rises from the ashes of obscurity to punish supervillains like the justice system can’t. With violence. Quick explanation as to her stolen equipment. The gauntlets are the same ones worn by Azrael when he paraded around Gotham as Batman while Bruce Wayne nursed a Bane-induced broken back. 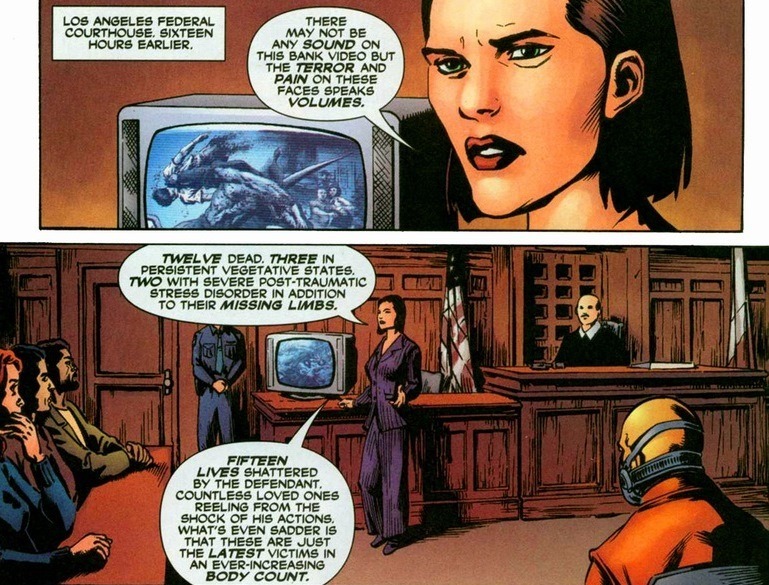 The uniform comes from a member of the Darkstars, a group of alien policemen. And the staff shoots electricity, what else do you need? 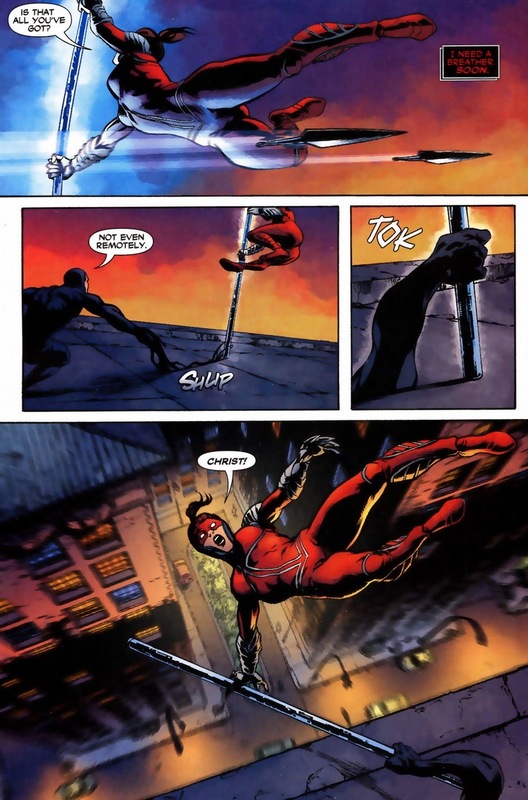 Since this marks the first time that Spencer has ever actually fought crime, the battle goes as you expect. Truthfully, her athletic or martial arts background hasn’t really been touched upon, but you have to imagine that if she decides to kung fu a monstrous supervillain, she must have been at least on her college’s gymnastics team. 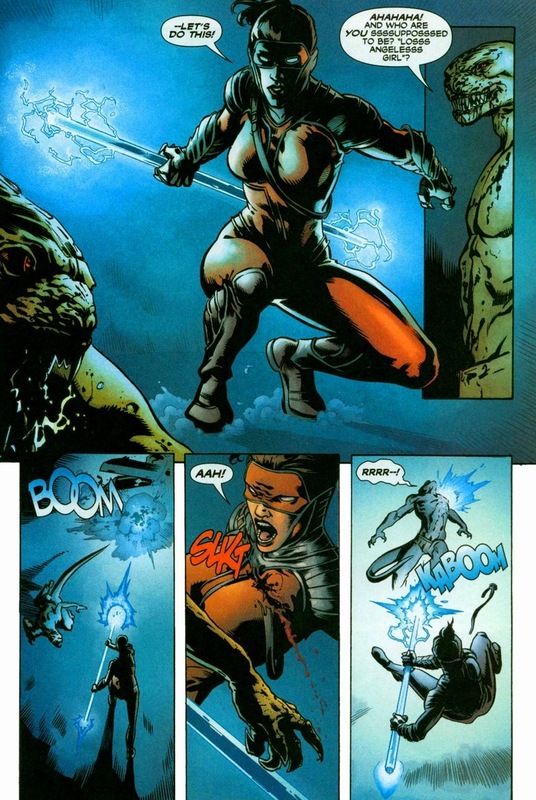 That and the suit gives her a (very slight) increased level of strength, durability, and speed. Ow. But even Batman didn’t punish bad guys too efficiently his first few months or so. Though now that I think about it, Batman probably should have done better, what with that decade of combat training under his belt before tackling Gotham’s underworld. 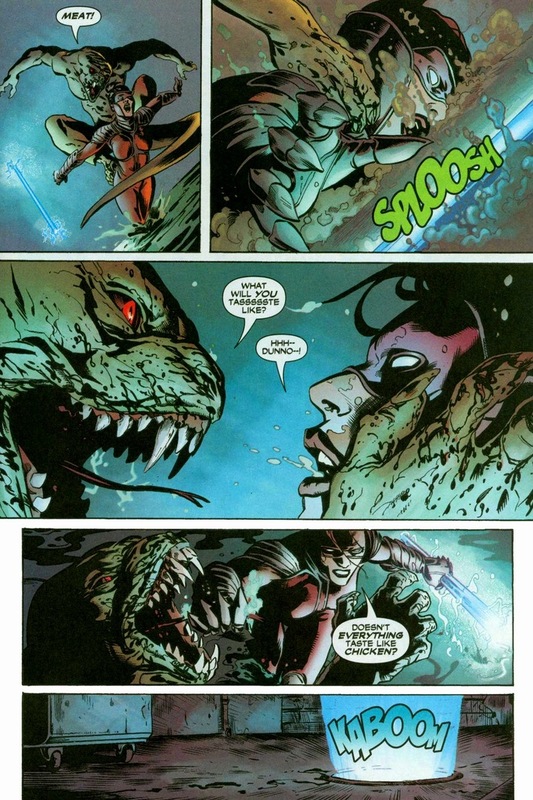 Luckily for dear Manhunter, practice makes perfect, such as in Manhunter #6, written by Andreyko and drawn by Jesus Saiz. Ever heard of Shrapnel? 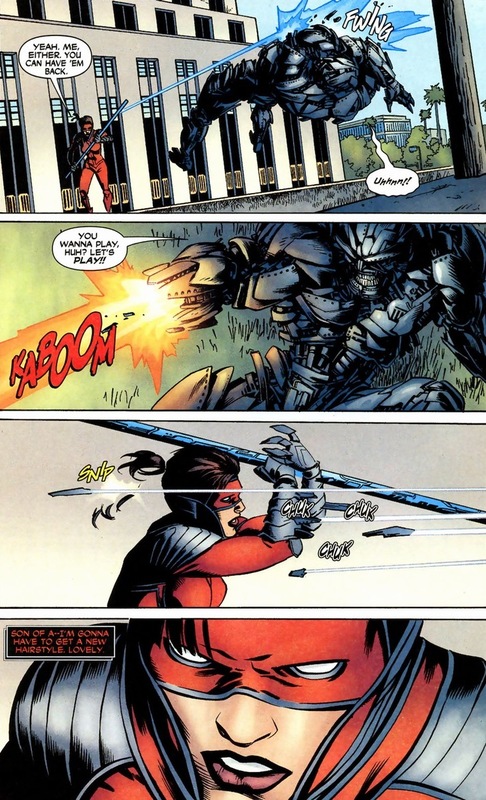 Cyborg psychopath? No? I wouldn’t worry about it. 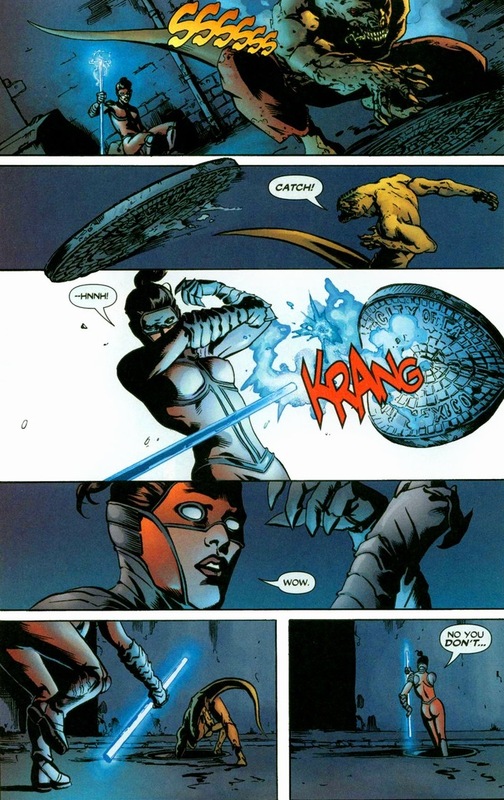 How does one beat a villain that usually scraps with superheroes classes above Manhunter? Hotshot lawyer and genius strategist. Can’t be a superhero without a ton of talents. Even then, luck and circumstances play key roles in victory as well. I feel for our costumed heroes — no pay, nightly beatings, and a disturbing lack of appreciation from the citizens of their devoted city. But y’know, a hobby’s a hobby. 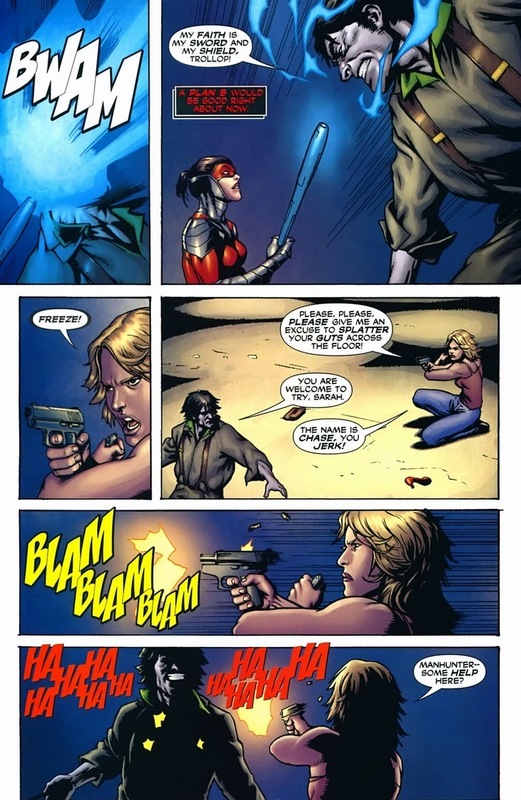 In Manhunter #25, written by Andreyko and drawn by Javier Pina, our protagonist has fought crime for a little over two years, including fighting alongside the rest of DC’s best in Infinite Crisis’ Battle of Metropolis. Big time stuff. Spencer totally qualifies as the real deal now, and the supervillain Sweeney Todd learns this the hard way. 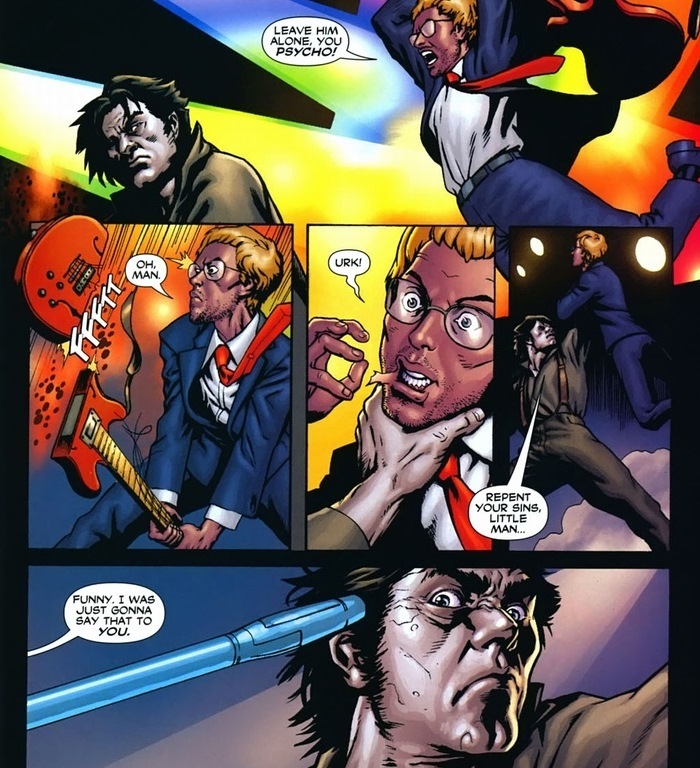 A supervillain so minor that Sweeney Todd doesn’t even have a Wikipedia page, the guy cuts up women or something. Look, motive isn’t important, just know the baddie’s tough. Batman wouldn’t do this. But Batman and Manhunter don’t like each other anyway. On a final note, what makes Los Angeles a different city than say, Gotham? The celebrations tend to be grandiose, or at the very least, good for the self-esteem. 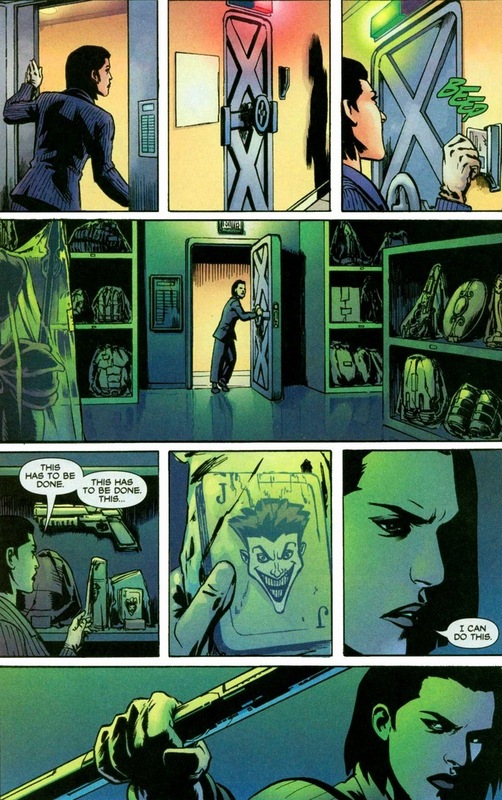 Or because unlike the Dark Knight, Manhunter actually smiles once in a while. 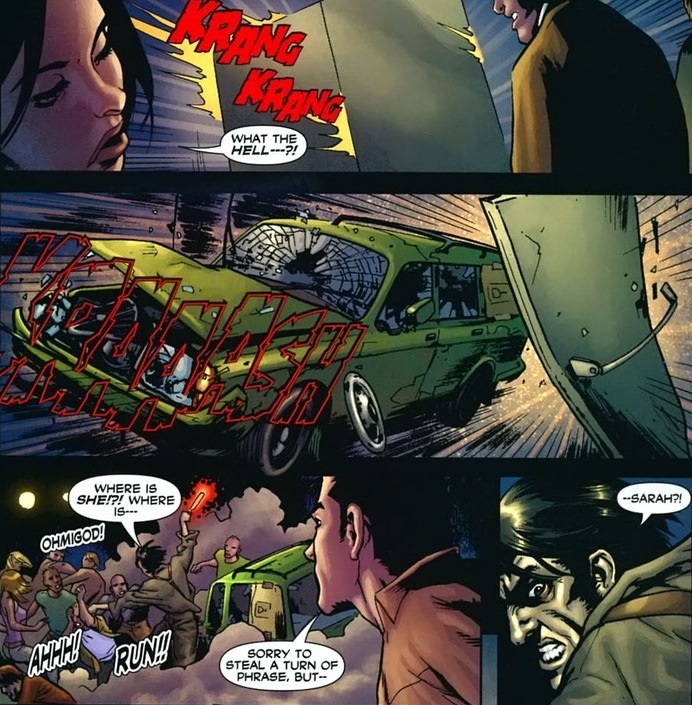 Eventually Spencer moves to Gotham City, probably because the dozen or so superheroes currently patrolling the city still can’t break that bloody wall of never-ending violence. Or maybe she likes a challenge. 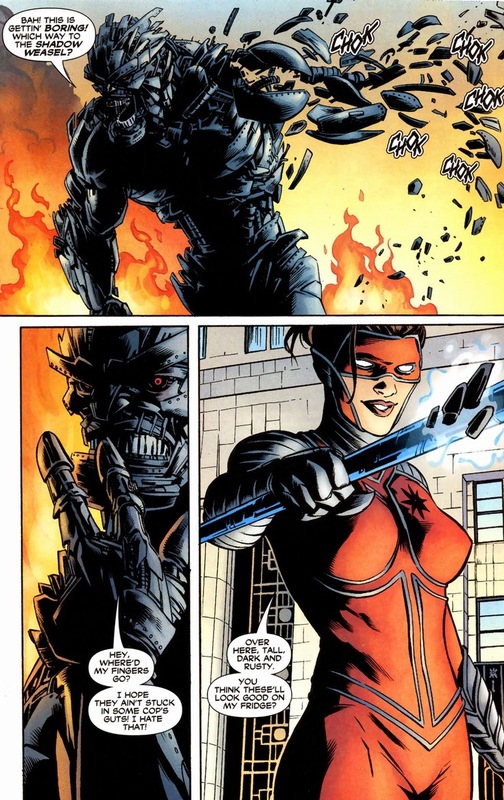 Or maybe she wants to date Nightwing. 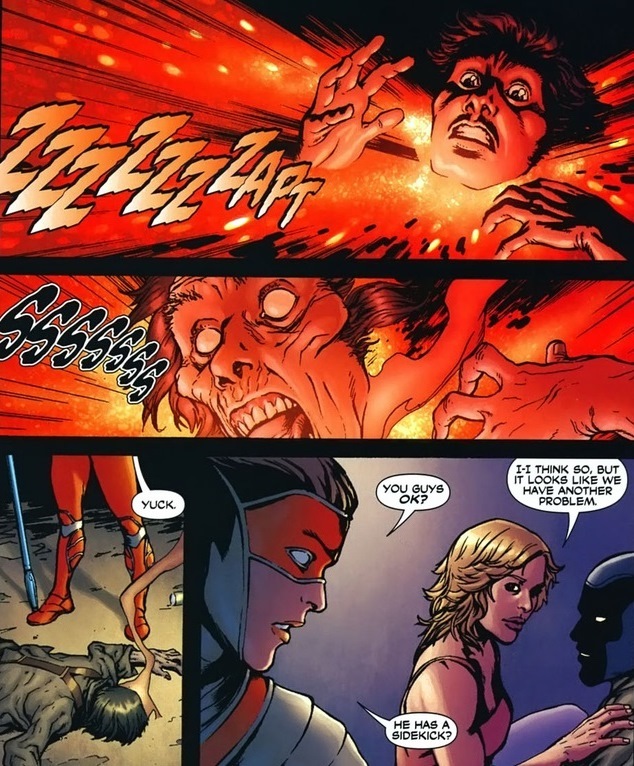 Either way, I hope she pops up in the New 52 soon. Ok. I am sold. I like her.